“So Choix is a new way to try and buy makeup where we bring the makeup counter to you!” So Choix is a makeup sampling subscription service that sends you hand-made samples of brand name, beauty counter products. Each month, subscribers have the options to choose all or a few of their beauty samples or to be totally surprised. 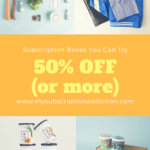 FYI – Choix now offers a “No Subscription”/a la carte option for those that want to try a few things without the commitment. All the samples they send are hand-made from authentic full-size products and brand new sample containers. They use high hygiene standards and never even touch the product itself. This is a process which allows them to send completely uncontaminated products to you, which I really appreciate considering that the lipsticks and products sitting on some stores’ shelves have been touched and poked by hundreds of other people. You can Click here to learn more about how they make their samples. COUPON: Receive a bonus Laura Mercier Foundation Primer with a 3-, 6-, or 12-month subscription! No link needed, just click here! The Products: 5 luxury beauty samples of your choice from the Choix store. I chose all of my own samples this month. Check out all of our So Choix reviews and the Beauty Subscription Box Directory! Each box has a sticker on the inside listing the details of each of your samples. They also always send you fresh disposable application tools to use with your samples! I love this little glass bottle for sampling, but it’s hard to coat the wand well enough to get a good sense of how the formula actually works. I was able to coat my lashes, though, and I didn’t have any smudging around my eyes from the formula. Sampling mascaras, even at Sephora or a beauty counter, isn’t super satisfying for me because so much of the performance of mascara is from the brush! When it comes to mascaras I’d rather find ways to get free mini versions of the product, personally. With the disposable spooly brushes beauty counters and stores give you to sample with, you can really only get a sense of the pigmentation and staying power of a mascara – things like separating, lengthening, and thickening properties are pretty much impossible to judge without feeling how the formula works with the brush it was designed with. I was curious to see how they’d make samples of mascaras, but I may avoid picking them for future samples. Good to know: the So Choix price for the full-size of this product is a dollar less than I could find elsewhere online. I have liked other colors that I’ve tried from Marc Jacobs so I was excited to see they had his polishes. I also love how they packaged this sample bottle! For me, it was perfect for 1-2 two-coat applications. The color is unique and the formula was smooth and dried pretty quickly. However, there was noticeable chipping a day or two after. You can see a photo of this on my nails below. This lipstick has great pigmentation! I also love the berry shade, especially for this time of year. Unfortunately, I found the formula to be a little drying and patchy, which is a big deal with colors this deep. I adore this primer! Thanks to subscriptions, I doubt I’ll ever actually need to buy a new primer but I’m sure considering it for this one. It has coconut water in it so it smells great and feels really hydrating. It’s perfect for my dry skin, especially heading into the cold and harsh winter months! This is another new love for me! This is a concealer that has almost a cult-love-following so I was excited to try this, and it’s great. The formula is definitely creamy but also has great coverage. It also feels very hydrating. A little goes a long way so this sample will actually last me a couple weeks, I think! They also threw in a free foil sample of Philosophy’s Renewed Hope in a Jar Overnight Moisturizer. Here’s the Marc Jacobs polish on my nails, with a top coat. I love the color and creaminess of the formula. Like I said, I did see some noticeable chips after a couple days. Here’s me wearing the Marc Jacobs Primer, NARS Concealer, Clinique Mascara, and the NARS lipstick! Verdict: This was my first month of So Choix and I am having so much fun with it! I think they have implemented some great packaging for the samples and I trust their authenticity and also their hygiene standards, having been trained in such when I worked at Sephora. I also really enjoyed reading about their mission and So Choix’s founding story. The founder was inspired to create an easy, convenient way to sample and test cosmetics and skincare in your own home when her sister was due with her second child and felt that she would have to give up makeup or feeling put-together and that she’d never be able to go and play at beauty counters with two children in tow! As a mother myself, that resonated with me. A quote I loved from it is “We bring the makeup counter to you because we don’t ever want you to lose your desire to shine when life bogs you down.” I also want to note that it seems like they’ve come a long way with making their packaging for the samples feel more professional and easy-to-use. It’s hard to do an exact cost breakdown for this box because of the hand-made samples, but being able to try so many different brand name cosmetics and skin care products for $15 a month, plus getting 250 points ($5 store credit) every month feels fun and worth it to me, especially considering my own lifestyle. I’ve loved browsing their products and creating my queue online so I can’t wait for future months! What do you think about So Choix? Have you tried their service before? I got the 3 month sub for $36.00 along with the bonus Laura Mercier Foundation Primer. How are they legally reselling different brands’ products? While it’s a great idea and user friendly in terms of personal preference sampling, it’s the cosmetic equivalent of an auto chop shop. They buy one product for X price then sell of pieces of it, presumably making a profit that exceeds the cost of the item itself. There’s also the fact I don’t use testers in stores for hygiene reasons and would not care to use cream formula products and especially things for use near my eyes that some unknown person previously opened (who knows when) and placed into a separate container. Sorry but it’s an easy no from me. And if works like many others who’ve tried this model, it won’t last too long regardless. Quite a few brands are insanely protective over their branding and will issue cease and desist orders to even sole proprietor operated etsy shops (I represented two sellers who tried something similar). where is the coupon, cant find it. Sometimes also you get pop-ups with codes while on their site, or they will send offers if you join their email list. The one swipe lipstick person returns product, where does it go…. gar e cant be re -sold . Many companies lose millions a year due to defective , theft and un useable item’s due to hygiene . I don’t think customers would buy a opened make up product being sold. I personally think I think this is a excellent idea, there so many products I would love to buy that are expensive now I can try before buy with out going to a busy cosmetic counter with no help behind the stand. This is the first time I heard of this company and it appears to be around for year or more already. I do subscribe to 5 boxes already and I plan to unsubscribe to 2and add this one. I think this company is going to grow adding more brands. I agree Erin, it seems a little fishy, and what if it really isn’t the real good stuff. I would be hesitant to trust, but interesting concept. Maybe a little illegal, I don’t know. Everything I have gotten has been legitimate. I tried a couple of products from Choix, bought them in full size from somewhere else (a Bobbi Brown foundation, a Chanel finishing powder, Guerlain meteorites) and they have been identical to the samples. This is really no different from getting samples in a store, it just allows you to do the same thing over the internet for people who don’t live near a store that sells these brands, or who can’t make it out to one (like if they have little kids or something). So after reading all the “illegal” comments, I looked them up and found they work directly with the companies, and they hope to be adding more companies products in the future. I like the concept, and have no reason to believe they aren’t legit. I love that you get to pick out your own samples and they’re high end products they I normally wouldn’t buy. I also like their quick shipping. I’m excited to receive my first box. Should be here in a couple of days. I just quit Ipsy to try this. Why risk getting 5 samples I may or may not like, when I can get 5 samples I definitely want to try in shades that I select!? They offer tons of super high-end brands too. I was already willing to pay $5.00 more than Ipsy for this service, but then I learned you get $5.00 in store credit every month (so in a way, it’s the same price if you plan on eventually buying full sizes from them). You can’t find everything though. For example, they have Estee Lauder products, but I don’t see the crazy popular Double Wear Foundations, just the concealer. That’s okay though, I will try some NARS, Giorgio Armani, and Marc Jacobs instead! Girl, you can pull off any lip color! I’m so jelly (as my daughter would say). I have been ordering from this company since last winter when they were 20 for their box. I don’t get the subscription monthly but I have ordered 3 boxes. I sign back up when there is some new brands and foundations to pick from because that is what I always seem to be looking for. This is great for trying out many without buying then trying. I just used my points and got 2 free makeup cases that hold the sample pans. These are really really nice and a great mirror. 500 points per case and then I got a single pan container which is cute too. Anyway its not something I need every month unless there are things I just have to try. I agree that they have come along way. I just wish they put in some extra treats even if they are foil because they don’t always. The ability to choose your own samples is long overdue and it’s nice to see them in items that are readily available. And Haley, love your makeup in the full face photo!! Ok, I just found this box and LOVE IT. I am kinda confused tho. How does it work when you subscribe? You pick your 5 samples every month? Or is it a que type thing where you pick a bunch of stuff and they take from your list every month? Or can you also choose a curated box instead? I saw they have curated boxes on their website or are they extra boxes you can order? I also saw the things are all priced less if your a member (extra samples $3 instead of $5 or curated boxes are like $15 instead of 20 or 25 instead of 30) which i loved plus the points!! Seems like a win all around!! Sorry if my questions are confusing…probably cause I’m all excited to get this box once I figure it out…lol. 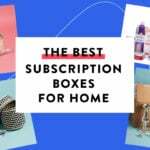 This is by far my favorite subscription box! I have gotten up to 5 or 6 uses out of foundations. I have gotten the same out of lipsticks and eyeshadows. The samples look small and when I first saw them, I was disappointed. Once I saw how long they lasted, I was sold! Great products. I have this and love that u have no pressure to fill your box every month and can have it shipped when u want and exactly with the products you want. Once you pick your items they get to you very fast (mine took 2 days) so Im keeping this bc its perfect for times like holidays, fancy dates, interviews and weddings when I want to spoil myself with a new look (and feel pampered using super high end products) without shelling out the cash for something I know I don’t need every day. In my last box I got a bronzer/highlighter duo, a beautiful eyeliner, face powder that smells like heaven, and the prettiest peacock eyeshadow. And the samples where so tiny it wasn’t even a factor when traveling and they fit neatly in my pouch ready for touch ups! One of my favorite/ most useful/ fun subs ??? Wow I the this is s great IDEA! !!!!.. There are a lot of products & high end too. I hope the company does well. Please share if you tried this service. Would love to hear about. Different types of products last for different periods of time. Foundations from Choix are usually good for 2-4 uses, same with finishing powders. Lipsticks are good for quite a few more. Eyeshadows and blushes and highlighters can last quite a long time. Concealers usually last a long time (for me at least). Fragrance samples are about average but come in the cutest little containers. I will admit I have not tried any mascara or eyeliner from Choix. And no nail polish. But now I can totally justify FS purchases of Chanel loose powder from Choix for $10 off because I subscribe and have accumulated a lot of points. It is hard to find discounts on some of this stuff elsewhere. I wonder if you just buy the samples at $ 5 each without being a member if they are any bigger? Samples are the same size whether you are a member or not (I’ve tried it both ways)… but members only pay $15 for 5 samples so it’s cheaper to be a member, plus you can accumulate points to use to discount products or purchase mini sizes of items that they have in the store too! I tried Choix a few months last year but had to cut back on my subs. Some of their samples like foundations, eye shadows, and blushes last a surprisingly long time. I loved this subscription and plan to subscribe again when I can.